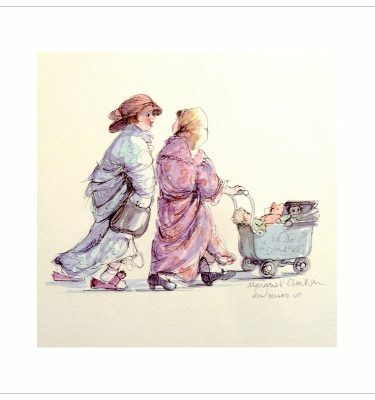 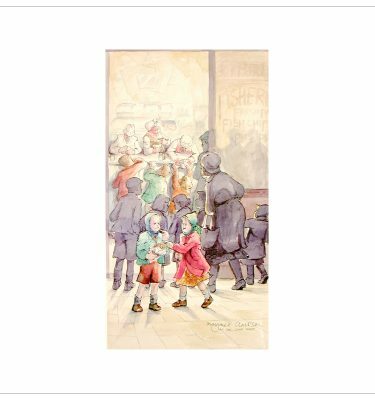 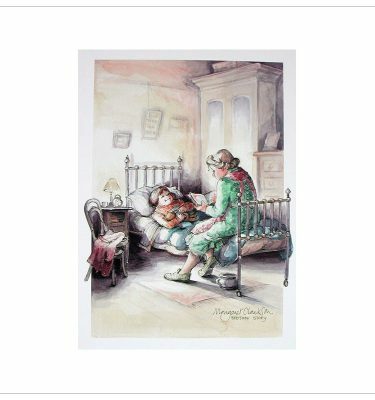 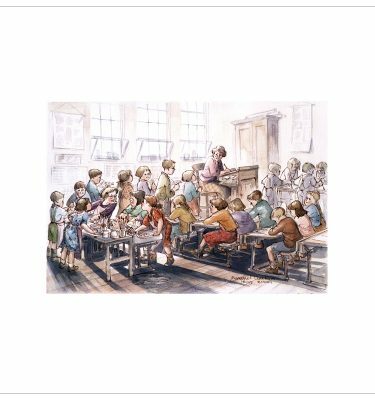 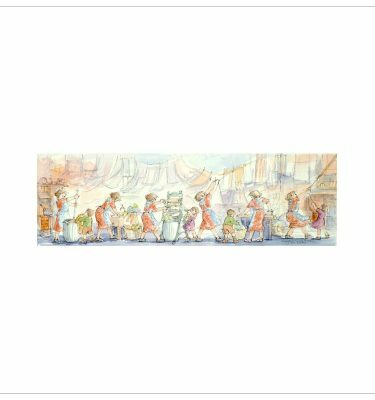 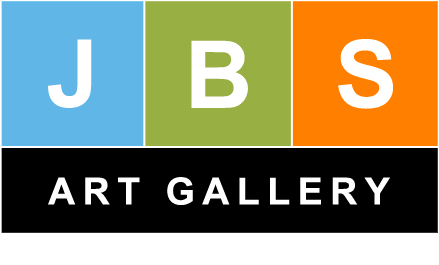 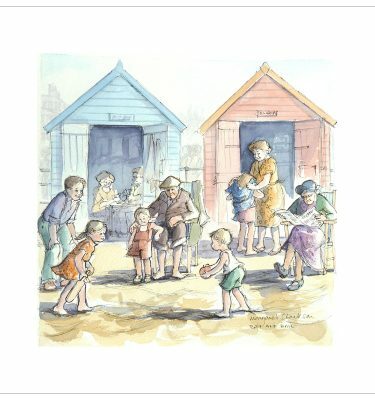 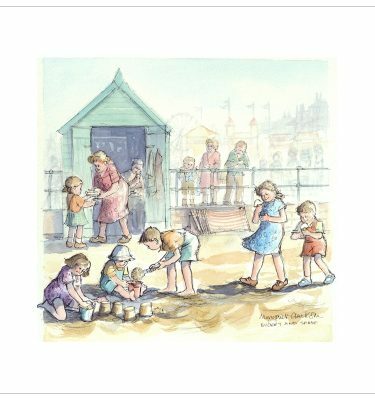 She has had several exhibitions; done commissions for book illustration; her prints have been used in regional and national magazines; her original paintings, limited edition prints and greetings cards are sold in over 200 galleries throughout Britain. 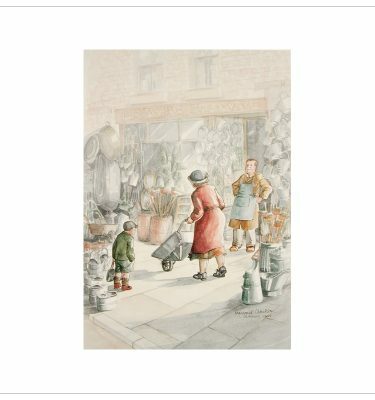 A member of the Fine Art Trade Guild for several years, Margaret was a finalist in the Best Selling Published Artist awards in 2006, 2007 and 2008. 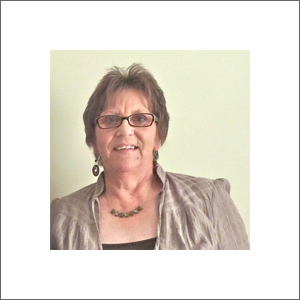 Since she retired from teaching, there has been more time to produce her work, while her husband, Mac, does much of the publicity and promotion. 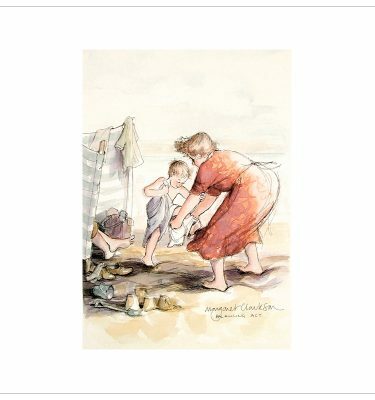 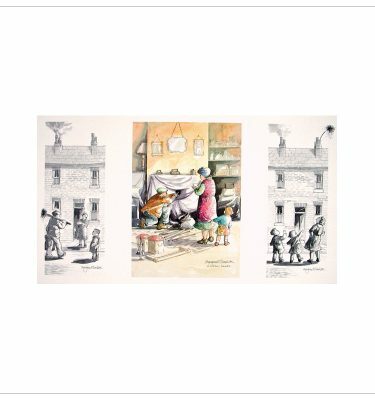 Margaret is one of the top-selling artists in Britain, with her work being described as a powerful historical record of working class households in the post-war era.